Hello HCMA families! Today I introduced a new fine motor skills work that practices wrist strength and movement. Teacher Jen and I have collected empty jars and bottles of different kinds that have caps that screw on. I put all the bottles into a basket and added an empty small bowl as well. The task of this work is to take each bottle out of the basket one at a time, unscrew the cap, place the cap into the bowl, and line up the bottles neatly across their work space. The kids and I discussed that if twisting the cap in one direction wasn't working, to try twisting in the other direction. 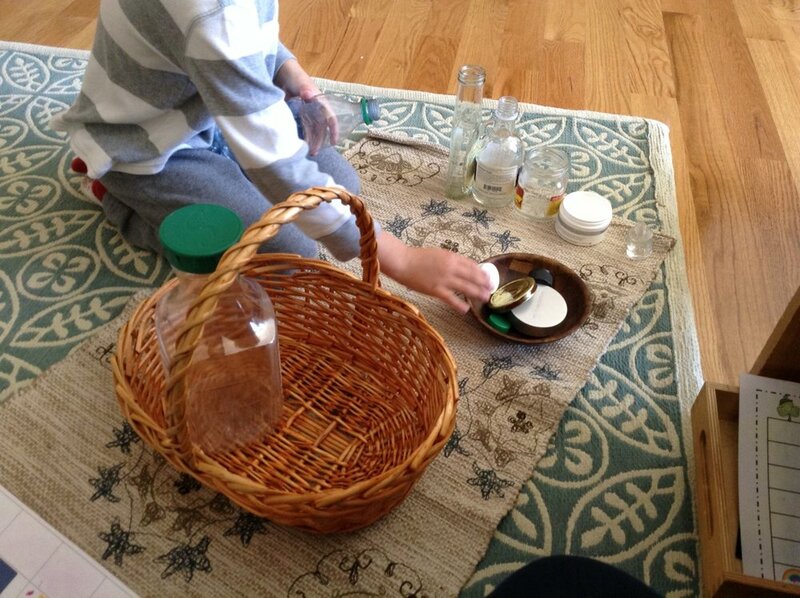 This was an obstacle I noticed many kids facing as they practiced opening the bottles and jars. Once all the caps were off, the kids had to then match the caps to the bottles they belonged to, screw their caps back on, and neatly stand up each bottle in the basket for the next student to use. Although this work isn't as academically challenging compared to some of the other works we have available, our fine motor skills works are just as important. As I previously said, this work practices wrist movement and strength, but it also practices organization, body control, and focus which are all crucial to the learning process. The skills mastered by these types of fine motor movement works also aid children with tackling other academic work such as writing and holding a pencil correctly for example.